This class can be used to draw a graph of the sound of a WAV file. It opens a given sound sample file in the WAV format and extracts the variation of the volume of the sample over time. The class renders an image that represents the sound sample wave form. Number 5 Sound sample files contain data values that represent the variation of the volume of the sound wave form over the period of time that the sample lasts. 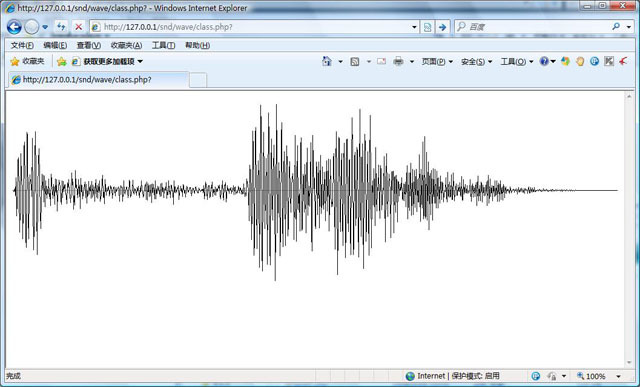 This class can generate an image that represents graphically the wave form of a sound sample file in the WAV format. I'm glad to see new functionalities implemented in PHP.